Iillustration from Apple's '087 patent. With Samsung found guilty of infringing Apple's IP nearly six years ago, the current court action centers around how damages should be assigned. Apple is again seeking more than $1 billion for its work — and bold bet — on iPhone. Discussing the product in court on Tuesday, product marketing VP Greg Joswiak said Apple was "betting the company" in launching iPhone. As such, the company filed for and received a vast number of patents protecting everything from communications techniques to the smartphone's industrial design. For example, when late company co-founder Steve Jobs showed off multitouch technology on the original iPhone in 2007, he famously said, "And boy have we patented it." It is the power of these patents that are now on trial. In a round of questioning on Wednesday, Apple expert witnesses Adam Ball and Susan Kare argued the merits of Apple's patents, reports CNET. More importantly, the pair sided with Apple's lawyers in viewing three granted design patents as applicable to iPhone's "articles of manufacture." In the U.S., damages in patent lawsuits are meted out based on the "article of manufacture," which precedent prior to Apple v. Samsung called for calculations on whole device sales. However, with rapid industry advancements in the field of consumer technology, manufacturers often incorporate a multitude of smaller components in a final, "whole" product. Following the initial 2012 ruling, Samsung filed a number of appeals — some successful — including a Supreme Court petition arguing damages in patent trials should be assigned based on a part or portion of profits attributable to an infringing part, not profits on a complete device. Samsung argued damages should be limited only to those parts of a device found in infringement of a plaintiff's patents, not sales of the entire product. That difference could equate to millions or billions of dollars, especially in the case of the popular and pricey iPhone. The Supreme Court agreed with Samsung's assessment, and in a unanimous decision in 2016 ruled damages for patent infringement can be based on individual components. The highest court in the land, as well as the Court of Appeals for the Federal Circuit, failed to specify guidelines in identifying an appropriate "article of manufacture," leaving such determinations to lower federal courts. 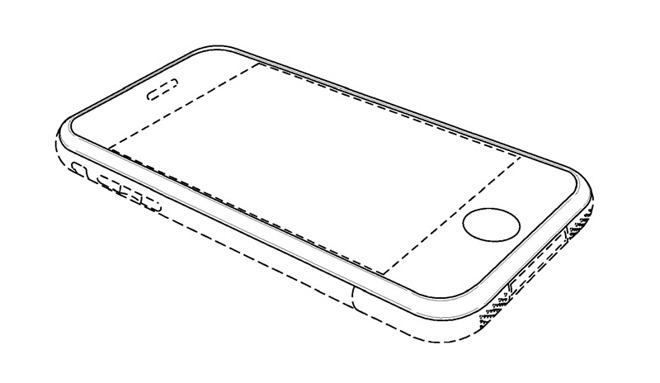 Under questioning by Apple's legal team, Ball argued the "article of manufacture" of U.S. Patent No. D618,677, an infamous piece of IP detailing a black, rectangular device with round corners. Ball argued much the same for Patent No. D593,087 showing ornamental designs for a device with rounded corners and internal bezel regions. Kare, a former Apple designer known to many as the "woman who gave the Macintosh a smile," presented a similar argument for Patent No. D604,305. The IP covers iPhone OS graphics, specifically a formatted grid of app icons laid out across iPhone's home screen. "To me, no question — in each case, the D'305 was applied to each of these finished phones — the whole phone," Kare said of Samsung devices, according to CNET. Samsung's lawyers did, however, manage to squeeze concessions out of both Ball and Kare, who both acknowledged smartphones are made of individual components. In particular, Kare said, "I get that a display screen is a thing," suggesting it and other parts are articles of manufacture. She also agreed that Apple's patent illustrations include dotted lines that, while providing a complete picture of iPhone, are not necessarily covered in its claims. For his part, Ball conceded that smartphones can be dismantled into individual parts, but stressed the jury should focus on the final design. "Just because you can take something apart doesn't mean it was designed to be that way. If you replace [a component], you're trying to get back to that thing that you bought," he said. The case is scheduled to run through this week, with closing arguments to be delivered on Friday.